StackAdapt is the #1 Programmatic Native Advertising Platform helping brands accelerate customer engagement and acquisition. This state-of-the-art platform is where some of the most progressive work in machine learning meets cutting-edge user experience. Ranking the highest in customer satisfaction and performance by G2 Crowd in the DSP category for the fourth time, StackAdapt is one of the fastest growing companies in Canada and ranks 6th in Deloitte's Technology Fast 50 ranking and 23rd in Fast 500 in North America. Solution-focused, performance-driven native advertising platform with a focus on transparency, brand safety, automation, in-feed formats, engagement optimization, and audience buying. Hi there! 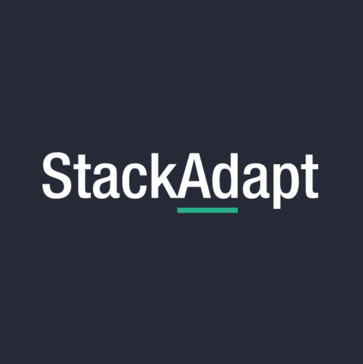 Are you looking to implement a solution like StackAdapt?